Find the best deals on the Samsung Galaxy S9 with TigerMobiles.com. This 2018 flagship device has everything you could want and more. Tons of power, fantastic screen, awesome cameras, and loads of special features. Could this be the new mobile for you? Just check out our amazing deals on the Samsung Galaxy S9 below. Samsung have been at the top of their game for a handful of years now, releasing the best Android mobile of the year again and again. But after so long at the top, are they starting to flag? The 2018 flagship Galaxy S9 is out to prove that Samsung still have a lot to give, and at a high-end price point, the S9 is going to have to be an incredible device. Fortunately, the S9 more than lives up to expectations. Why should you want one? Well, there’s all that power, the signature Samsung impressive display, beautiful styling, and a new top end camera set as well. All in all, the S9 ticks all the boxes and then some for a high end phone. So if you want the best of the best, then this is a mobile you should be checking out. This could only be a Samsung Galaxy. Those slim lines, elegant curves, and stunningly high quality build. The screen on the S9 curves all the way to the outer edges of the device, leaving bezels only at the top and bottom, making this a beautiful device. It’s a glass and aluminium build, making it light, but it feels sturdy and robust in hand at the same time. Looks aside, the S9 naturally features some very high-end internals. There’s incredible amounts of power, loads of RAM, a massive AMOLED screen, and the addition of a nicely upgraded camera set to boot. You’re going to be paying high-end prices here, but with the S9 you get what you pay for. This is a fantastic top of the line device, and the price tag reflects that. But if you want the best, this is going to be it. Performance is obviously a critical aspect in any phone, and in a top end device, we’re looking for significant numbers. The S9 doesn’t disappoint. You’re getting excellent octa-core processing power (a quad-core 2.8 GHz and a quad-core 1.7 GHz processor) alongside 4 GB of RAM. That makes the S9 lightning fast. Like all Galaxy S models, this is an Android phone. You’ll be getting Android 8.0 Oreo out of the box, so the most up to date OS version. This gives you added stability as well as some neat new features. Android 8 has better notification management, for example, as well as additional split screen functions. In terms of performance, you’re getting the best. There’s no lag, no freezing, the S9 is a beast at multitasking. Even the most intensive users are going to be more than satisfied with speed and performance on the S9. Okay, this is a Galaxy S, so we expect big things from the display, and we get them. This is a massive 5.8 inch, 18.5:9 ratio screen. That means you have tons of room for typing, watching, reading and even gaming. Using the S9 isn’t too comfortable one handed though, so watch out! And, of course, this is a signature Samsung Super AMOLED display, meaning remarkable colour reproduction with bright whites and deep blacks. Resolution wise you’re getting 1440 x 2960, giving you around 570 PPI. That means a crisp, clear picture that’s a joy to look at. From HD video to high-end gaming, everything looks fantastic on the S9. This display is hands down one of the best around right now and shows that Samsung really are at the top of their game. So, we’ve already told you that the camera set is excellent and that Samsung have added something new, but what exactly are we talking about here? Well, at the front you’re seeing an 8 MP cam, with dual video calling feature, HDR and autofocus. For a front cam that’s fairly impressive. Around at the rear though we’re seeing the real innovation. The rear camera is a 12 MP device, and don’t be put off by that number, megapixels aren’t everything. This is the first mobile camera with dual aperture tech (if you want to get fancy, this is an f/1.5-2.4, 26mm, 1/2.5’’, dual-pixel autofocus cam). That means that the camera works like a human eye and can expand and contract depending on light conditions. In essence, you’re getting fantastic pictures whether there’s great light or not. Add in phase detection autofocus, simultaneous video and picture recording, geo-tagging, LED flash and all the expected camera features and you’ve got a fantastic camera phone. Images taken on the S9 are clear, bright and simply fantastic. As a top end flagship, the Galaxy S9 obviously has tons of special features. But we do need to single out a few special ones. The first of these is AR Emojis. This lets the camera take a picture of you which it then translates into an animated emoji. You can dress and style your emoji any way you like, which is pretty cool. Bixby, Samsung’s digital assistant, has been incorporated into the camera as well. You can now point the S9’s camera at say, a foreign text, and have Bixby translate it into your native language. Again, pretty cool. In terms of battery life, you’re getting plenty of power too, with a 3000 mAh battery on board that should give you plenty of juice for the day. There’s also wireless charging, quick charge tech, and you get a USB-C reversible connector for even faster charging. Security wise you’re getting an iris scanner, as well as a rear, mounted fingerprint scanner. Finally, there are three memory models for the S9, with 64 GB, 128 GB, or 256 GB of internal storage. But the S9 also accepts an SD card for up to 400 GB of extra storage should you need it. Since this is a top end phone you can expect to find the Galaxy S9 at pretty much any UK operator that sells mobiles with O2, Vodafone and EE all in the mix. But, you’re going to be paying a fair price. SIM-free paired with a SIM only deal, you’re looking at paying around £739. Yes, there are contract deals on the S9, as you’d expect, but don’t expect too many savings there. Again, this is a flagship release, so expect to be paying at least £100 or so up front along with about £40-£50 per month including your contract plan. If you’re shopping for S9 pay monthly deals, you’re going to want to keep an eye out for big data packages. The S9 does have 4G, and you’re likely to be using a fair amount of data, especially for things like that Bixby enabled camera. Low data packages might be cheaper, but in the long run, you’re likely to over-run that data limit costing even more. For savings on the S9, don’t expect to see anything close to release date. This phone is just too valuable and in demand for operators to discount it. Waiting a month or so after release (so around April 2018) should mean that you see a few cheaper contract options appear. If the price on the S9 is too steep for you, then consider the slightly older S8 model. There aren’t huge differences between the two, and the S8 could save you a couple of hundred pounds. 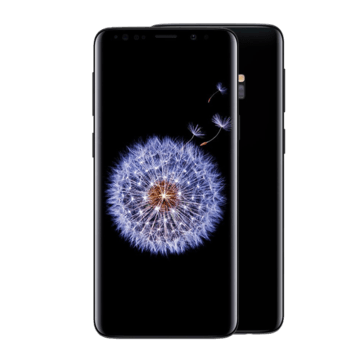 If you’re looking for a top end flagship phone, then the Samsung Galaxy S9 is going to be an excellent buy for you. It’s got everything a premium smartphone should have and more. Plus, since all operators will be carrying the S9, you’ll have plenty of choices when it comes to contract plans as well. Samsung’s flagship releases are always exciting, and the Galaxy S9 is no exception to this rule. For the past few years, the Galaxy S series has been the top Android mobile around, and the S9 is bigger and better than ever. We love the flawless styling, we love the power, we love the amazing display, and we really love the new camera set. If you’re in the market for a serious top-end Android phone, then it’s going to have to be the Galaxy S9. This phone is a beast.